This is Our 3rd year for this Event. We will be raising AWARENESS for mental illness and it's prevention among Young People and Students. Homeless or Otherwise. To accomplish this, we will once again be tattooing semicolon tattoos all day long so we can begin to start the conversation about mental health. 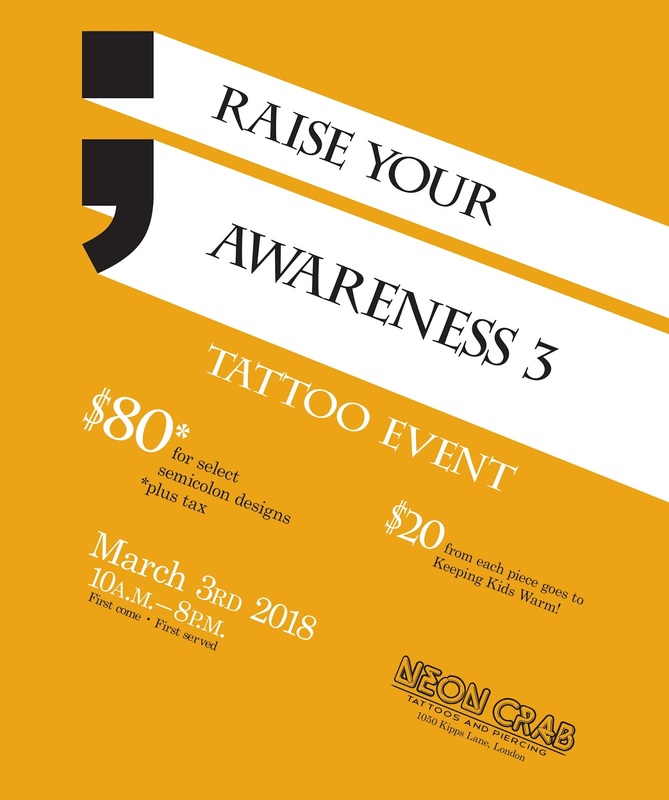 There will be a number of designs to choose from created by the artists at Neon Crab Tattoos. The tattoos will all be done at the shop minimum of $80 each, and 25% from each tattoo that day will be donated to the charity Keeping Kids Warm. Keeping Kids Warm will also be hosting the other half of this fundraiser at East Side Bar at 750 Hamilton Rd. in London from 2pm until 7pm with live music, raffles, door prizes and lots more. 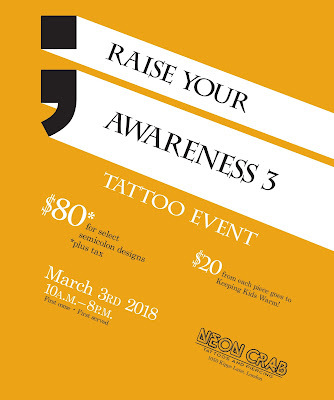 So once you are done getting your semicolon tattoo, head on over and show your support!